Large selection of stylus touch pen to offer. 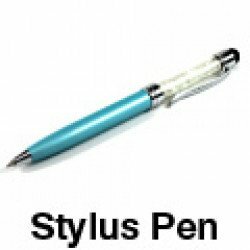 Stylus touch pen are compatible with many different kind of device in the market. Combine Discount Rule. This means that products with different color that have the same product name will qualify for Combine Discount. For Example: Adding 2 pcs of the case iPhone 5 5S Armor Defender Case (Black-Pink) and 1 pc iPhone 5 5S Armor Defender Case (Black-Blue) in to the basket will allow you to receive the 3 or more Discounted Price. High quality sound with extra bass. Enjoy Hands-free conversations with this in ear ste..